Families and young children mill around tables in the lobby of the Walter Soboleff Building. There’s a station for coloring, one for science. Margaret Katzeek and her 2-year-old niece Elayna are at the snack table. This is their second Baby Raven Reads family night. 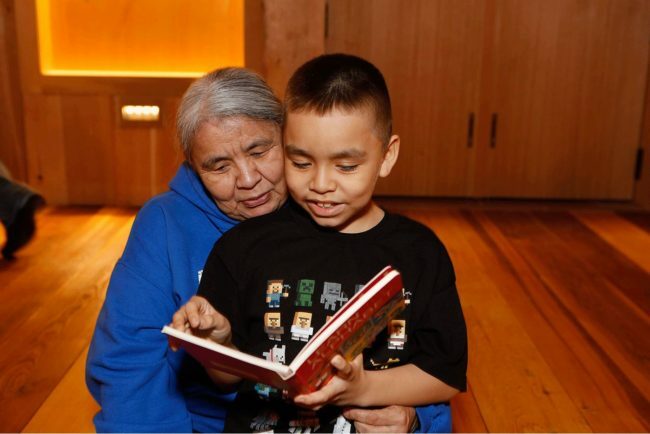 The free early childhood program run by Sealaska Heritage Institute builds on the strengths of Alaska Native culture in teaching early literacy. 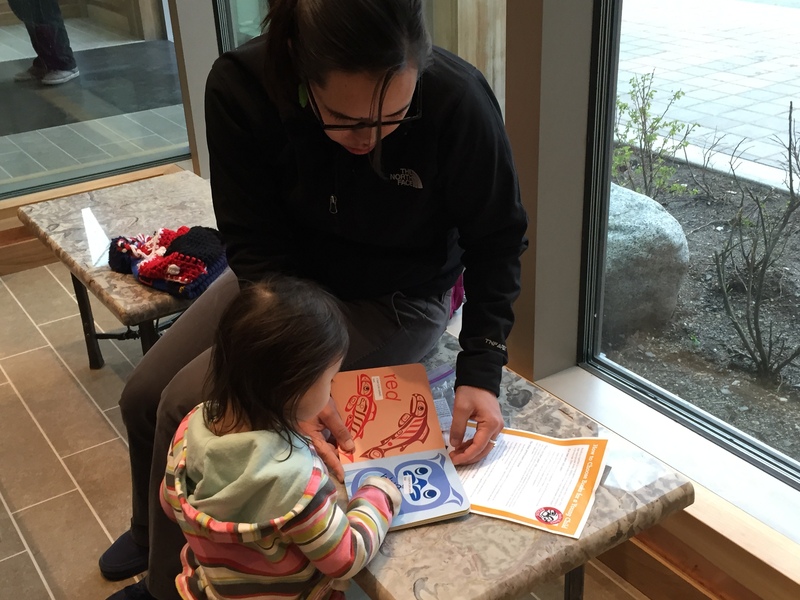 Katzeek says they’re a fun way to learn the Tlingit language, for her niece and herself. But Katzeek says Elayna picks up songs better and, lucky for her, there are several that evening with language learner and teacher Mary Folletti. Inside the clan house, about 30 children, infants to 5-year-olds, start off sitting on small rugs or on the laps of family members. Moments later, many of them are on their feet, singing, laughing and dancing along. About 40 adults sitting on the periphery watch their children, smiling. Some join in the singing. Folletti leads the group in Tlingit songs to the tunes of “If You’re Happy and You Know It” and “The Hokey Pokey.” She helped translate these songs several years ago. “Those songs are great because the kids are already familiar with them and they are the same idea. We do things different, like, ‘Dance like a Tlingit,’ but it is like, ‘Turn yourself around,’ so it’s got a lot of the same ideas,” she says. Folletti says exposing children to the sounds of the Tlingit language is important for development. “I know people who learn the Tlingit language when they were older and because they had never tried to make those sounds before, they’d never heard those sounds before, they physically could not make the sounds, so I think it’s important for them to hear it,” Folletti says. 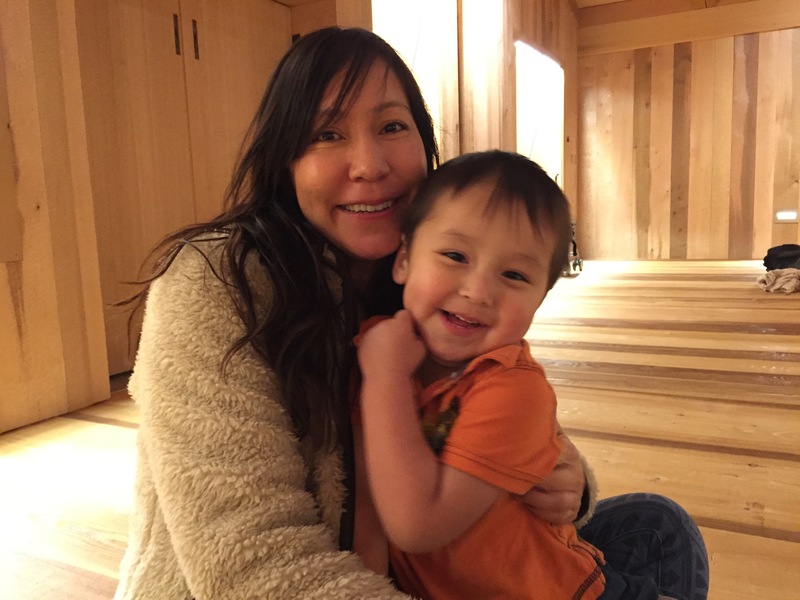 Early education specialist Karen Larson is working with Sealaska Heritage Institute. She says the Baby Raven Reads program emulates other successful early learning practices. It gives out a free children’s book at each session, like the Dolly Parton Imagination Library. It brings families together, like events organized by the Association for the Education of Young Children. And it’s all done in ways relevant to Alaska Native families. 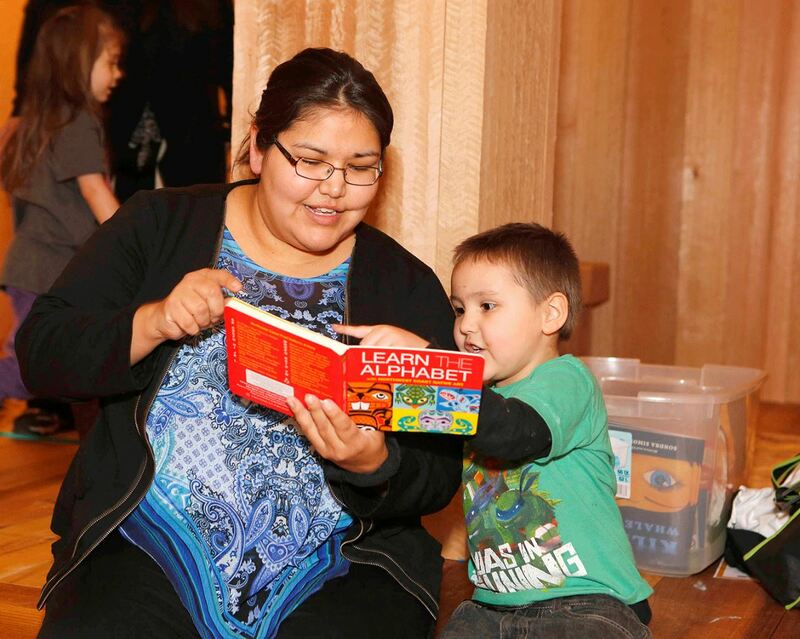 “People are really craving cultural experiences for their children and language exposure. And then people bring their own culture to it and it grows from there,” Larson says. Parent Pamela Craig is one of those people. She’s with her 2-year-old son. “This is exactly the kind of thing that I think he needs, to be able to meet up with his Native peers from an early age and be able to work with them and have people to talk to, especially learning language,” Craig says. The Baby Raven Reads events are good for her as well. “Just looking around, I have family here, my relatives and other people I’ve met through the years going to different Native events, and so it’s a good opportunity for me,” Craig says. That’s part of the early childhood program – creating community. Jackie Kookesh is the education director for Sealaska Heritage Institute. She hopes people like Mary Folletti will be an inspiration to parents and relatives. Kookesh hopes the program will make more parents comfortable singing “Twinkle, Twinkle, Little Star” in Tlingit with their children. 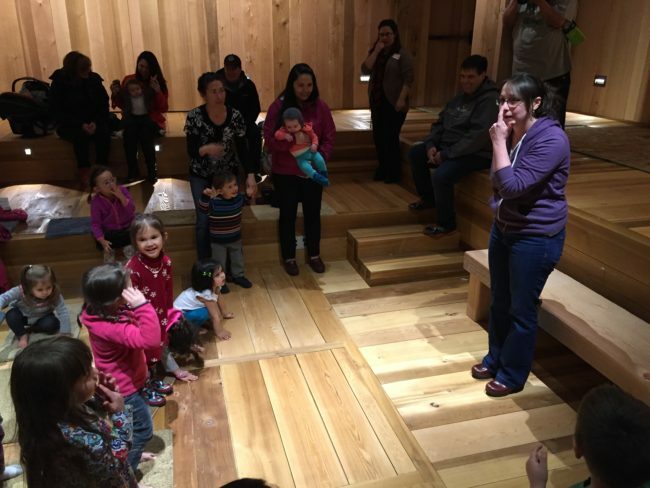 Sealaska Heritage Institute is hosting another Baby Raven Reads family night for Alaska Native families this Saturday, May 23. For more information, contact Jackie Kookesh at 586-9229.